On Monday I received a package. I attended MakerFaire NYC back in September, and was blown away by all of the consumer-grade 3D printers being shown there. I had been looking at Makerbot Industries’ offerings, which are something of a standard for the home level 3D printer market, but they are still out of my price range. Makerbot’s machines also are a bit large for the space I ave available. Then I saw the AC Gears booth, where they were showing the recently debuted UP! Mini from UP! 3D. AC Gears is a tech retailer in New York City, and they had a coupon for UP! 3D’s two printers. I was so enamored by the look, size, and quality of the UP! Mini that I went and ordered one as soon as they went live. The UP! 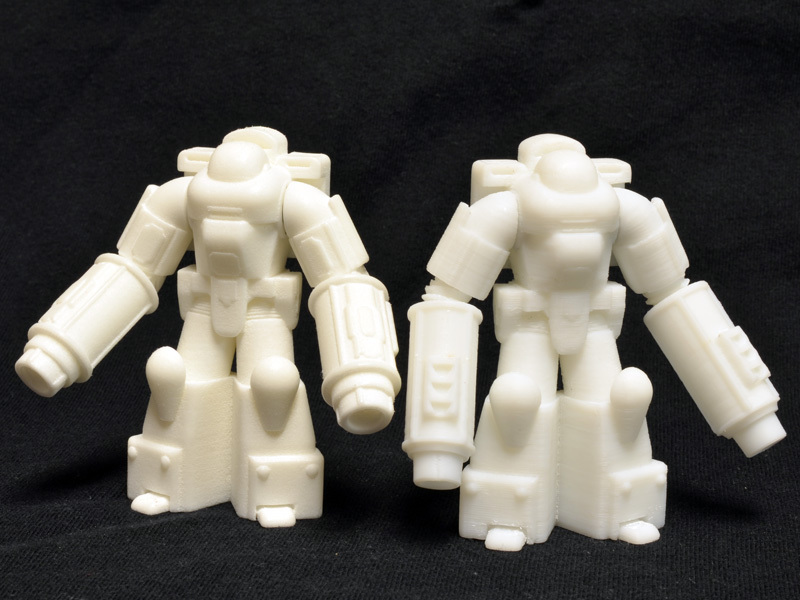 Mini features the same 0.20mm minimum layer thickness as the larger UP! Start Plus. The only difference between models is the physical size and build volume. 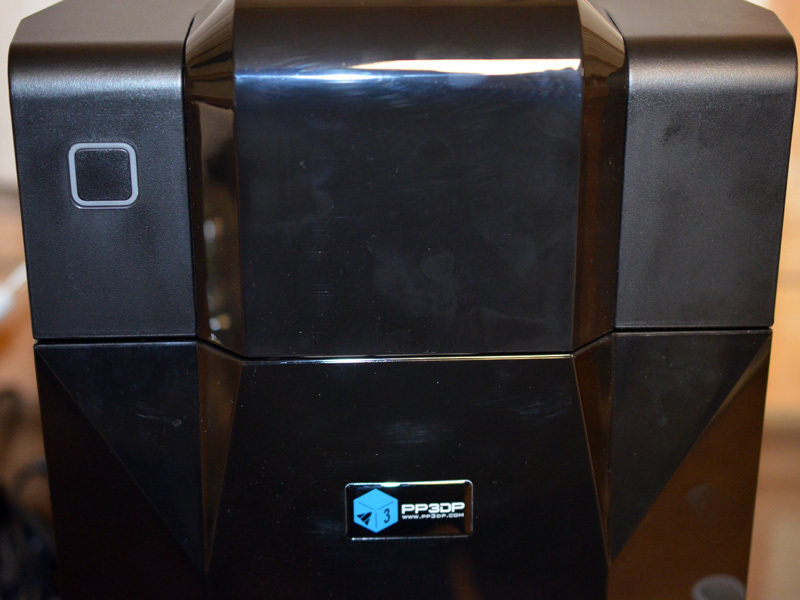 The Mini also features a fully enclosed build area, something very few consumer grade printers currently offer out of the box. 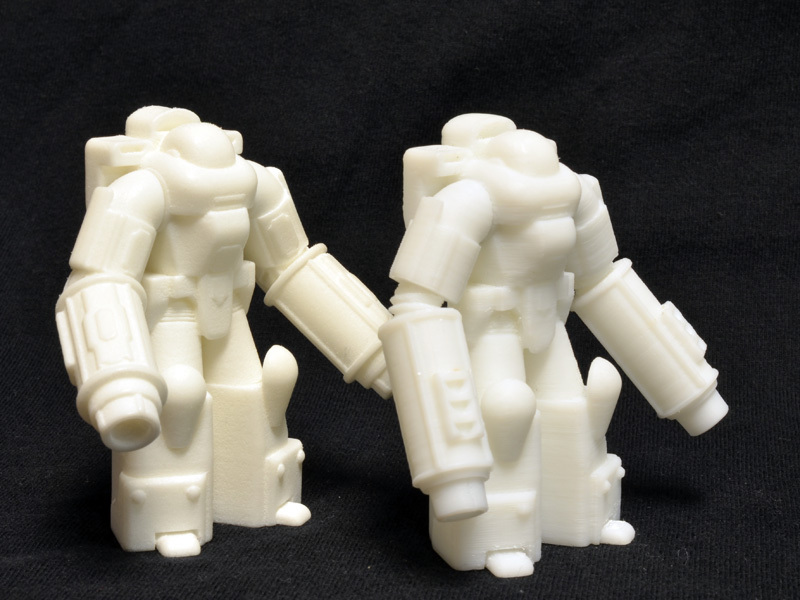 When printing large and tall models, things such as drafts become a cause for concern, leading to warping and uneven cooling of layers. Having an enclosed build area cuts down on these problems, and keeps the print safe from disturbances while in progress. The Mini comes just about ready to use out of the box. The only assembly needed is to install the spool holder, the filament spool, and the print head. The whole print head is one assembly, and attaches to the machine via magnets. Three magnets securely hold the print head assembly from all three axes, and it snaps into place no problem. 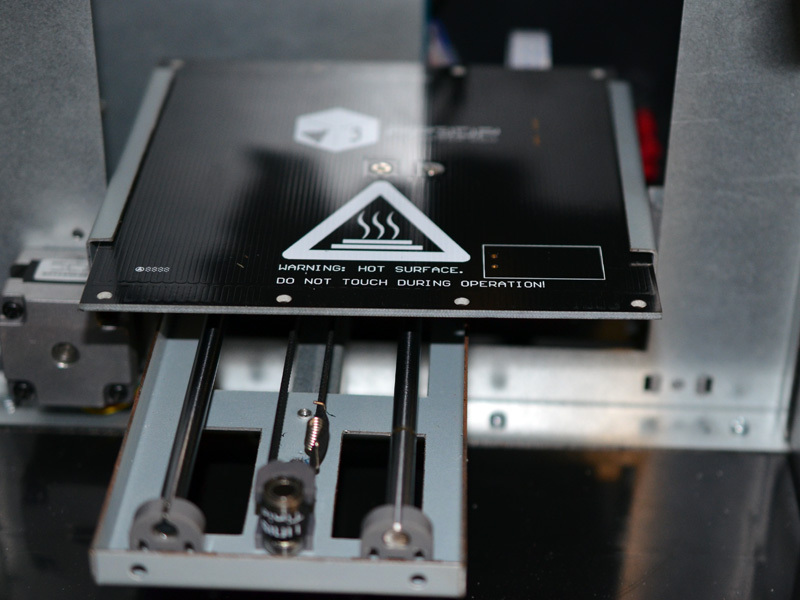 The Mini also features a fully heater print platform. The black part pictured above is the heating element, and then a piece of perforated board is slid into the brackets on either side of the build platform. 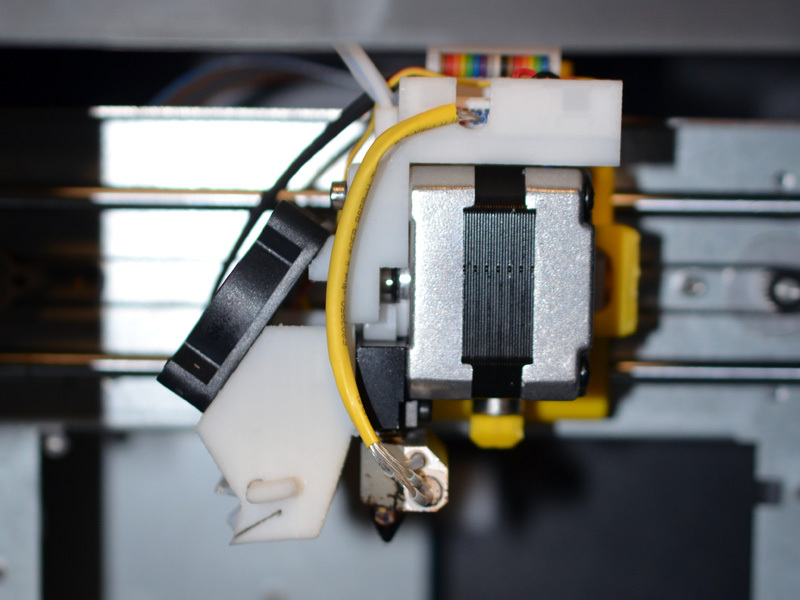 The Z-axis must be configured during initialization of the printer for the first time, which calibrates the minimum distance of the platform from the print nozzle. The platform level calibration is done via the included UP! software, which is surprisingly easy to use. 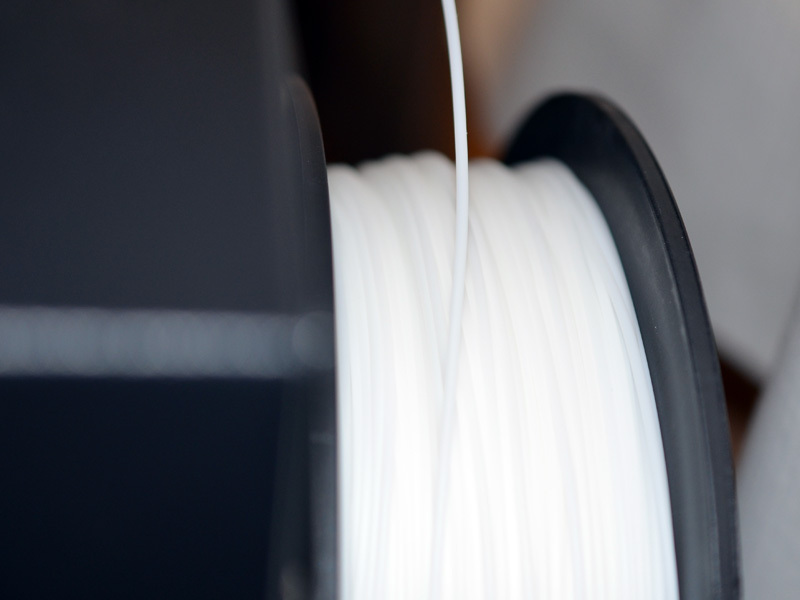 The printer includes one 700g spool of natural colored 1.75mm diameter ABS plastic filament. The natural color is a bit translucent and is fine for painting, but terrible for photographing. In the week I’ve had the printer, I have been very busy putting it through its paces. 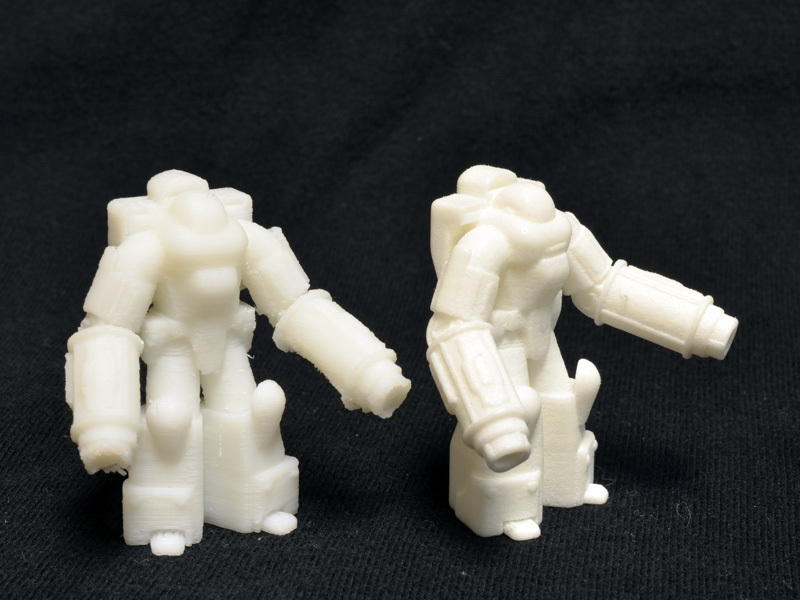 Using the Bounce Tortoise as a standard model I’ve explored the upper and lower limits of the printer. I could make a smaller model than the 1/60 scale Tortoise, but the detail would start to suffer greatly. Still, it’s probably worth trying to see just how small I can get and have the model still be recognizable. 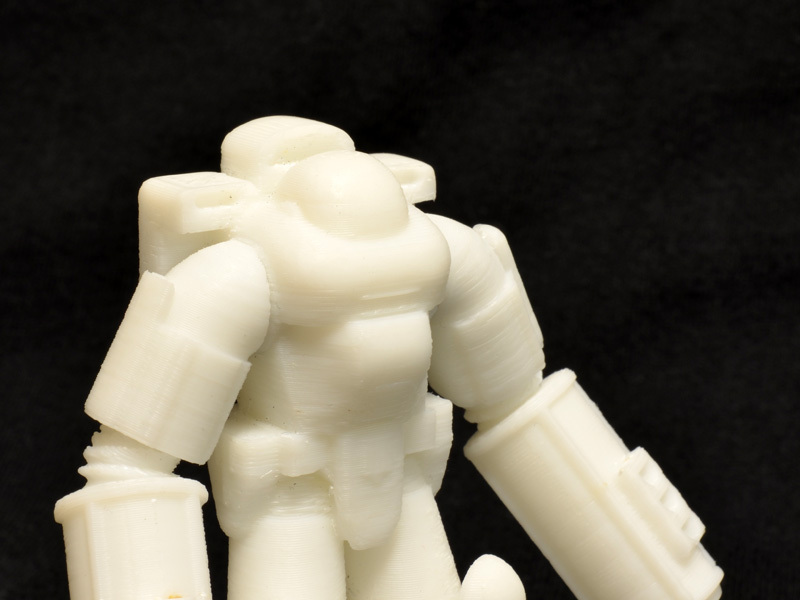 The 1/60 Tortoise shows some of the challenges of the extruded filament printing process. 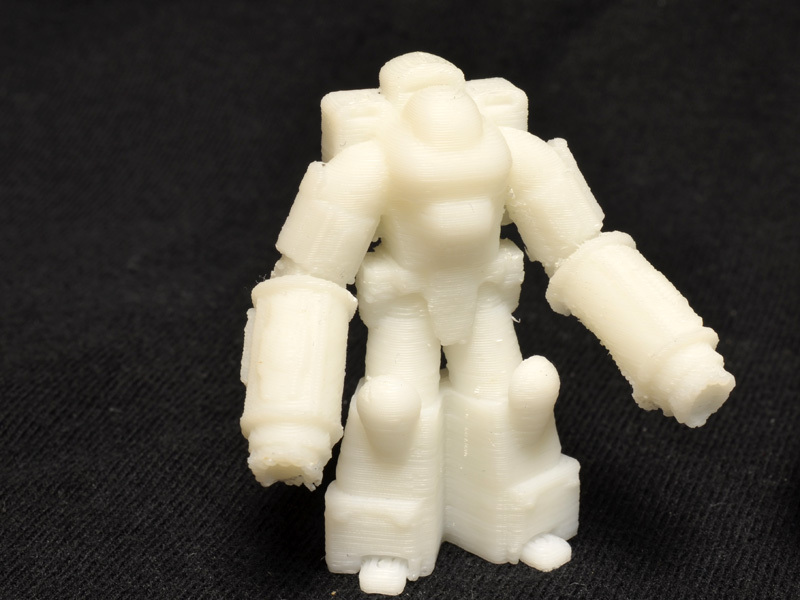 As a single part model, the little guy has a lot of overhanging surfaces that require support material to print. 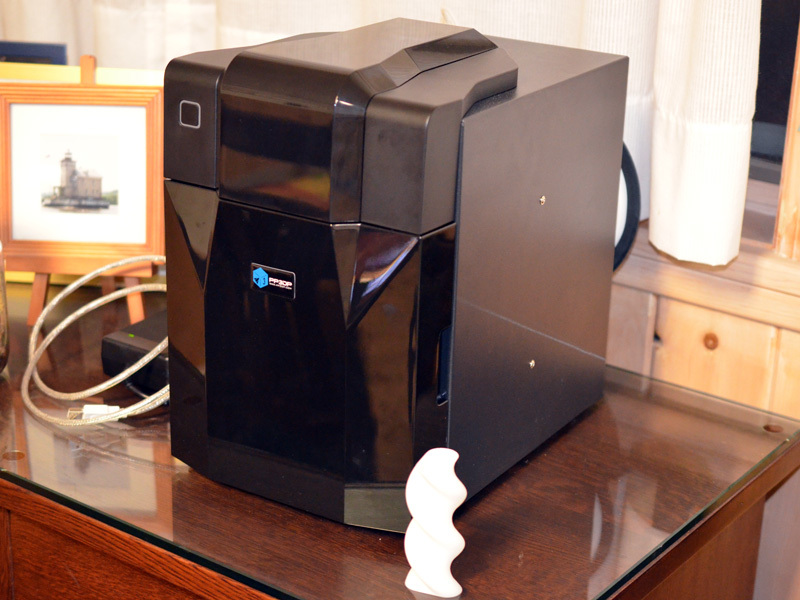 The printer uses software to determine where support material is needed and prints accordingly. There are some rough spots, however, on the little print where the support material attached to the model. At this small scale the layer thickness and support material attachment points make a big difference. Comparing my 1/60 print to the print I received from Shapeways demonstrates the nice resolution of Shapeways’ laser sintered nylon. 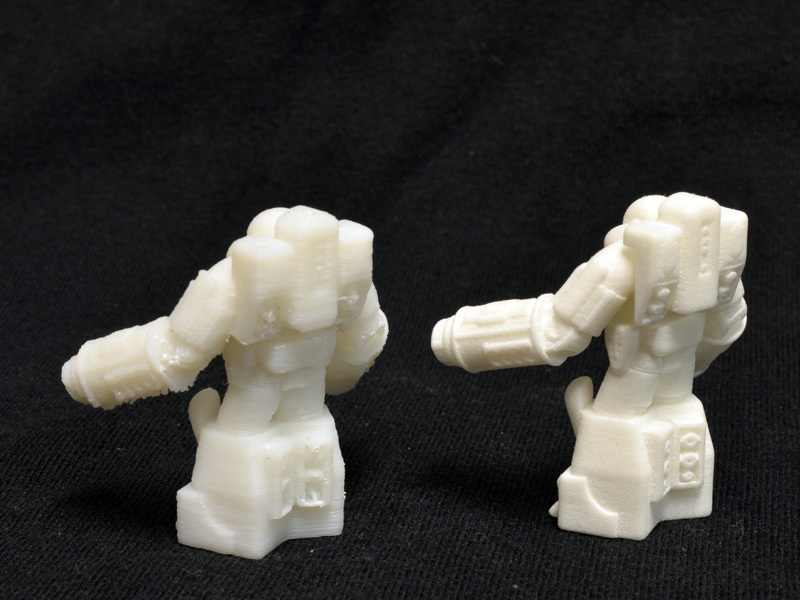 Even on a one inch figure, the detail is sharp on the Shapeways print, but a bit gummy and sloppy on my print. There is a lot I could do, though, to improve the quality of the small print on my printer, but this guy was just an initial test. The 1/35 scale two and a half inch print, however, looks awesome. I retooled the Bounce Tortoise model to break the arms down into multiple parts. Making the model out of more parts allows for each part to be oriented on the print bed in the best way. Geometry and details come out best when the ‘grain’ of the print process is oriented properly. The detail is tough to make out in the photos, but the UP! 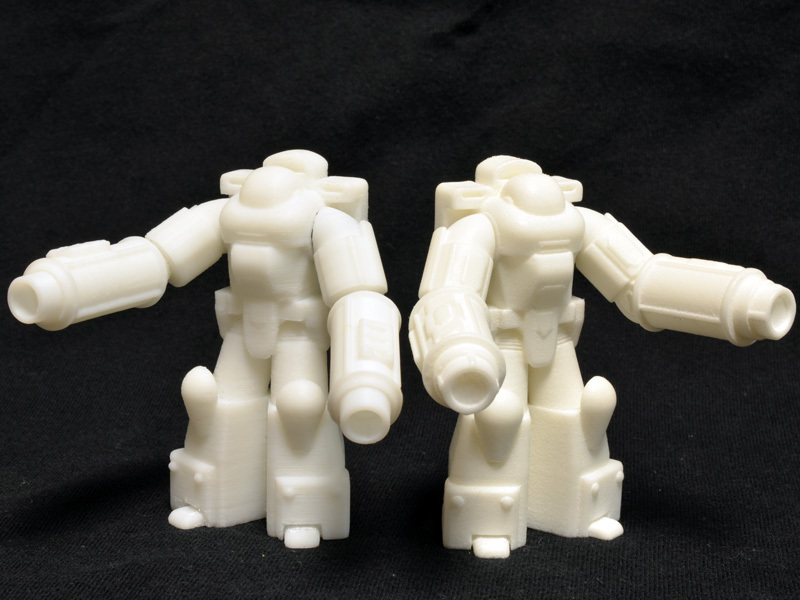 print is quire comparable to the Shapeways print. There are a few fine details that did not really render, but most of the geometry is there. The ABS plastic is also much easier to clean up than Shapeways’ nylon. Sanding out the most offensive of the layering is a cinch with ABS. 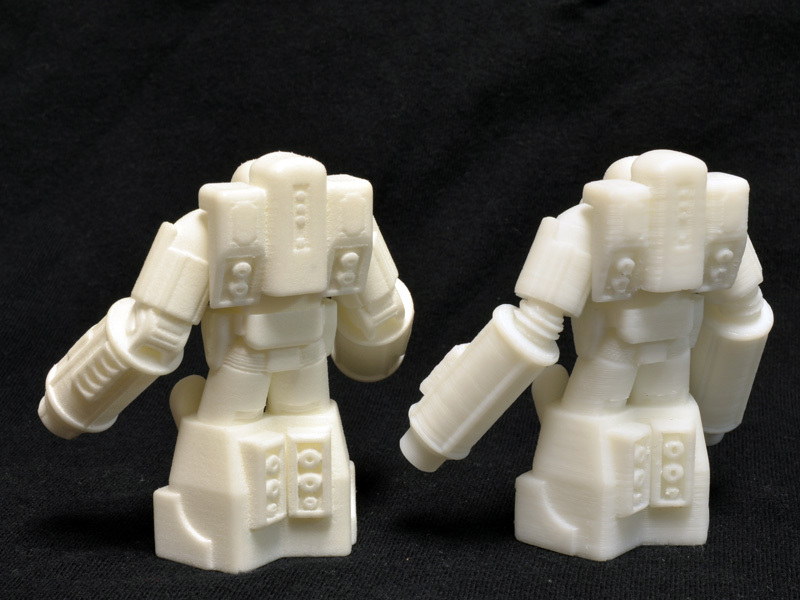 The other great thing about the Mini-printed figure is that it took around four hours to print the parts, as opposed to the month-long turnaround time on the Shapeways print. 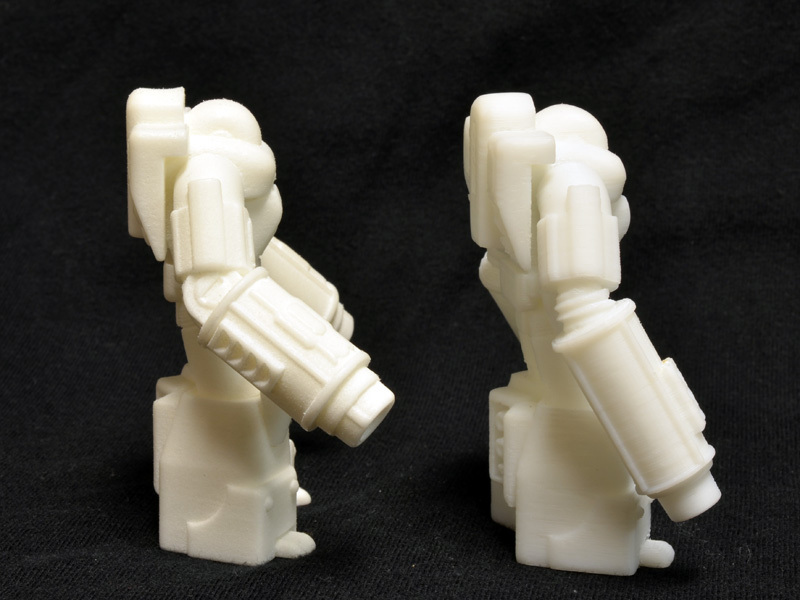 The polycap articulation of the 1/35 model works perfectly on the figure I printed. After just a few quick swipes with some fine grit sandpaper, the print lines are visible but not dramatic. Paint will tell just how noticeable the lines are at this scale. I’ll put up the rest of the pics of the big guy in the family shot to its own post. Under some paint, the lines begin to look like they belong there, and things are looking quite promising. Stay tuned for further developments as I push the abilities of the printer and my 3D modeling abilities. 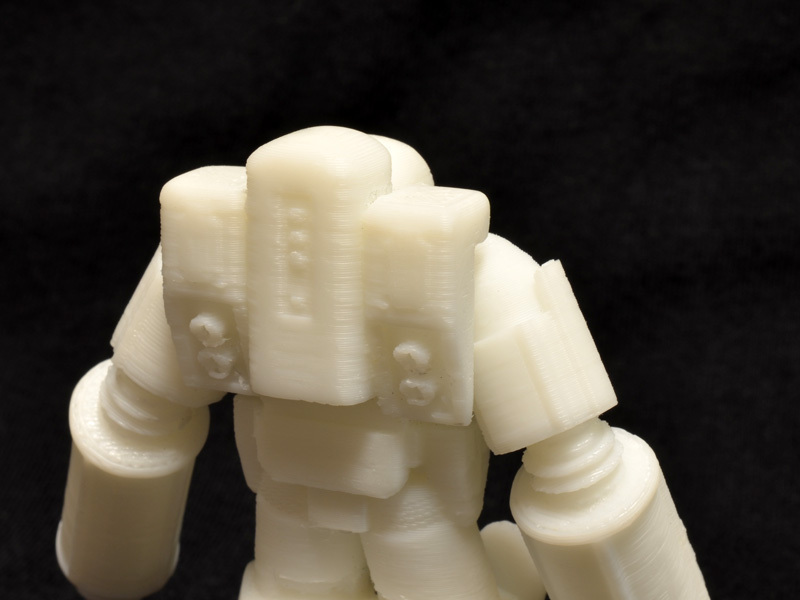 The build area is around 5″ cube, with a minimum resolution of 0.2mm. The UP! Mini can print with PLA, but I would need a different material built platform that is not included. I don’t print with PLA because I like the mechanical durability of ABS better, but it can be done. 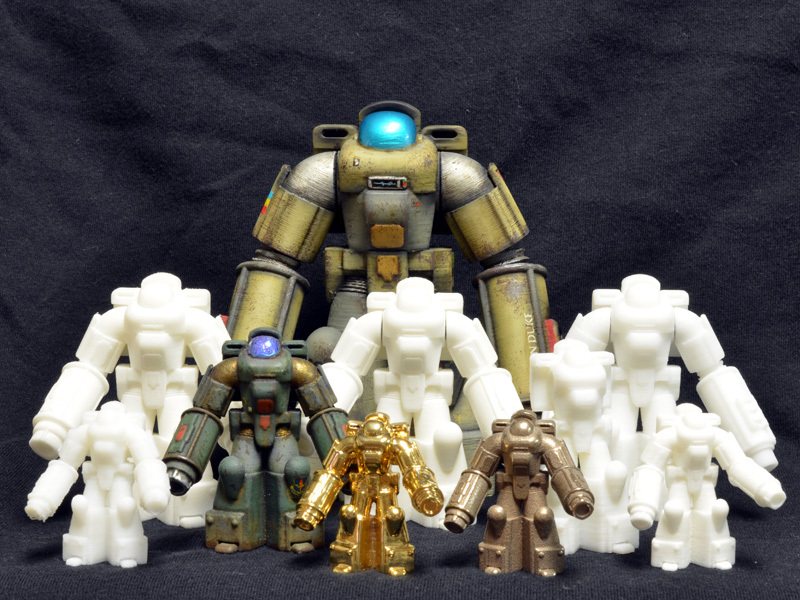 Ben Mininberg at Prometheus Rising Studios has been cranking out his Bounce Tortoise mech figurines like there’s no tomorrow, all in the name of the 3D printing accuracy science! 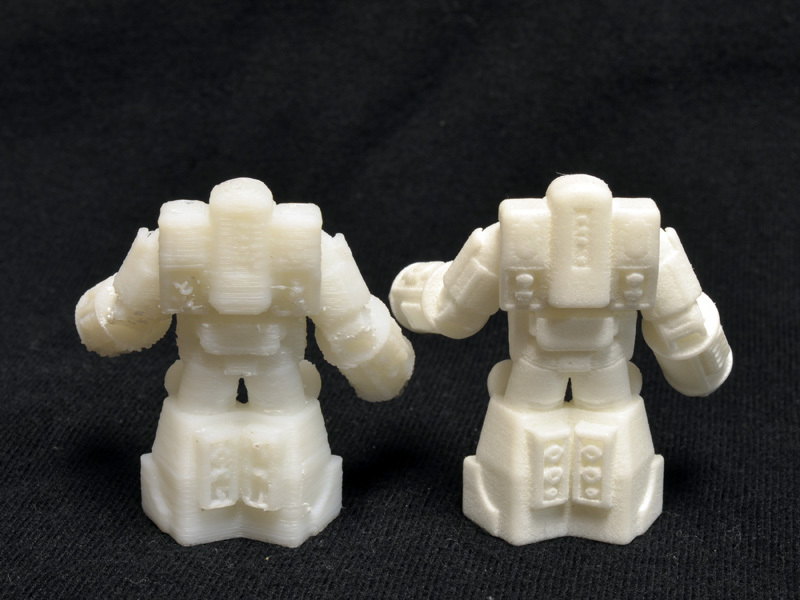 He’s got an awesome series of photographs comparing the quality of output of a consumer-grade FDM 3D printer (Up! 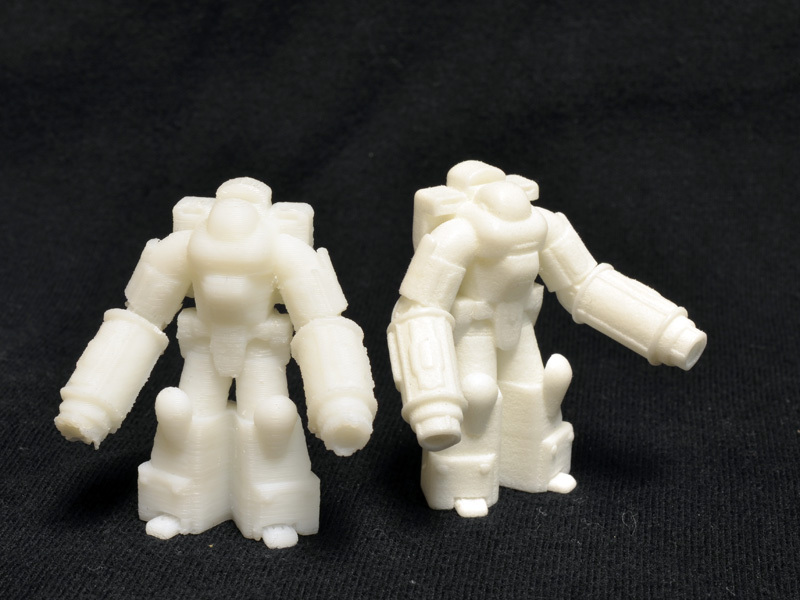 Mini) with the same size model printed by Shapeways using laser syntered polyamide (nylon). Well, you should see the very nicely done pictures for yourself but I would say for small prints the FDM quality is just not there (yet?). Still, having a printer right here and spending $3 and 3 hours on a print which may or may not be a successful model instead of $30+ and 2 weeks to get a great quality one from Shapeways makes a lot of sense, especially if you know that some intermediate prints may be required. 6. 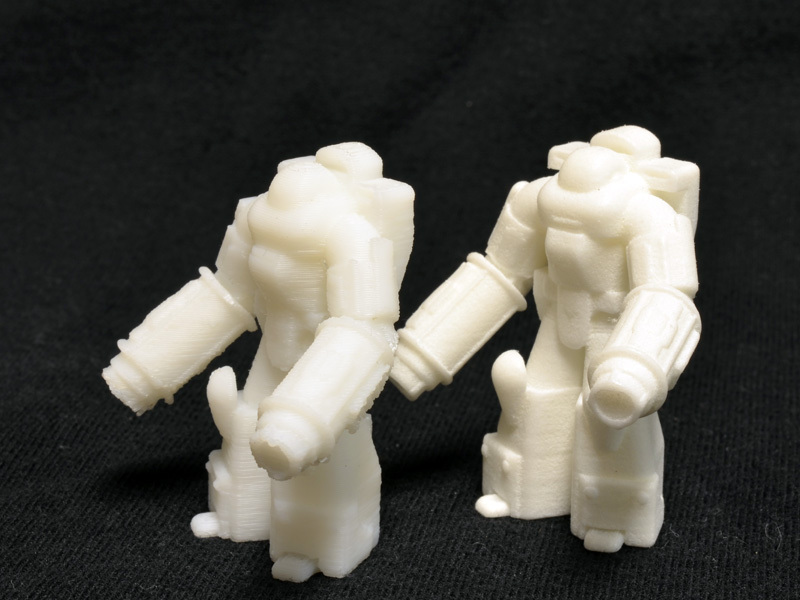 Receive professionally printed model, smooth details, polish surfaces where required. 8. Cast yourself urethane resin pieces. 9. Finish resin into product. Hope I haven’t missed an important step!